"Momma, are we poor?" My daughter asked many years ago when my husband and I were both in college and lived off his small pastor’s salary. "Poor? Heavens no. Poor is a mind-set. We’re just temporarily out of money," I explained. Success is not a bad thing. It’s a good thing and if you are following God’s direction, it’s a God thing. Our country was founded on the principle: If one works hard, they will succeed. Success seems foreign to many of us these days as the economy continues to dwaddle. I know a man who thinks he’ll never succeed as he would like to. That’s because he always raises the bar. As soon as he reaches a goal that had previously been named "success," he relabels it "failure" and raises the goal. "I can never make it. Everyone else can be successful but not me," he would say. This man has wonderful children and a respected career. He has many good friends and he’s even good looking. But, in his own mind, he’ll never make it. We can be successful, even in today’s economy, as long as we aren’t measuring success by a millionaire’s wallet. First, we have to know what we would call success. Then, when we arrive at that level, we cannot then rename it as failure because we don’t have what others have. Success is having what God values and calling it GOLD. "Holy Father, you created everything perfectly, even my soul. I ask that your kingdom may come and fill all the spaces in my life. To rest in your arms is all that I want. Father, I ask that I recognize every blessing you give me and know it has value above everything else. I pray for success, that I may glorify you. Forgive me when I ask for your help, and when I receive it, I say I want more. I pray that I may succeed—succeed at loving more purely, succeed at encouraging others more wholly, and serve you more clearly every day. In the name of Jesus, the Christ, I pray. Amen"
"God gives us stories that testify to His love. Let me tell you mine. "Please pass this link to a friend. A TATTOO OR A MASTERPIECE? It seems to me, a tattoo is a "thought for the day." I would prefer an "autobiography of God written on my life." Too many of us live from moment to moment, without seeing the grande story that is being played out all around us, the one in which we are privileged to be characters. Wow! We are in God’s story, but we often forget who the hero is—and it’s not us. Sometimes we get a glimpse of the part we play in the story and we feel privileged. Someone may say, "I remember when you told me . . ." What comes next is a sweet remembrance of a heart that was touched by a few kind words. Many years ago, we loaded up the U-haul and moved from New Mexico to Ohio. I drove the station wagon and Bill drove the truck, accompanied by Peanuts, our little terrier, who gave birth to seven puppies between our driveway in La Mesa and Yseleta, Texas. Our son, who was about nine, looked out the window and said, "I know who painted the clouds." I thought he was going to tell of God’s great mystery in creation. But, he said, "Michelangelo." My heart sank into my lap. How could I have not taught my son about God’s creation? Rather than panic, I said calmly, "Oh, tell me about it." "Well, when somebody dies, God uses them in Heaven. Michelangelo was a great painter, so God has him painting all the clouds and sunsets." There was no doubt in the mind of my soon-to- be-fourth-grader. I smiled and my heart rejoiced. I had been given a peek into the greater story of life, the one God was writing on the heart of my nine-year-old. Someone had been in his life who had written a new page of possibility, fun thinking. The choices we make, the direction we take, and the lessons we learn are more than placing tiny specks of ink dots below the skin. Life is unbelievably larger than that. What do we strive for in life—the immediate or what lasts—a tattoo or a masterpiece? "Creator God, author of your story and mine, your name is precious to me. May your kingdom come to dwell within me, until the time I live with you. I ask this day that you will give me eyes to see your glorious masterpiece. Let those glances be guideposts for me by which to find my way home. I ask that I may be the eyes for someone who cannot see, and the words and actions for those in need. I don’t want to know who it is or under what circumstances it happens. I am only the messenger, not the message. The masterpiece is yours, Father God. Forgive me when I have sought immediate gratification for today’s pleasure. May I see joy all around me and know that it is part of a life of joy. In the name of Jesus, your son and our redeemer I pray. Amen"
"Do I love chocolate? "You bet ya. It must be God’s elixir for all that hurts. One lady cried to a friend that she had eaten over ten-thousand calories that day. Her friend assured her that she couldn’t have eaten that much. The lady explained, "You know how hard I’ve tried to stay on a healthy diet, fruits and vegetables, you know. Someone dropped off a carrot cake this morning for the church supper tonight. It looked so good, I thought I’d eat just one small portion. Later, I treated myself to another piece and another, until, by the end of the day, I had eaten it all—all ten-thousand calories of it. It was a huge cake." To that her friends replied, "Honey, carrot cake is not a vegetable." We do the same thing when we eat up all the Valentine candy or wolf down chocolate because it makes us feel good. I know it does. Research has shown that dark chocolate will bring us a sense of well being. What a wonderful excuse to eat a box of Esther Price’s Assorted Chocolates. But, I’m afraid you didn’t read the entire research. It only takes two ounces of chocolate to give you that lift in spirits. "Holy Father, creator of us all, your Spirit of Life lives within us. Holy is your name and the name of the Spirit within. Forgive us when we dislike the body you have given us to anchor our soul to Earth for this short stay of ours. Sometimes we want to run away from our body and the emotions experienced by it. Some of us have strong bodies, some are weak, and some are damaged by many events of this world. It is still the shelter for our soul, and for that we thank you, than you, thank you. Help us make peace with our body, our intellect, our emotions, our personality, and our soul this very day, that we may serve you with renewed energy and purpose. Forgive us when we have disliked that gift of life you have given us. Touch us with your warm and loving hand. In the name of Jesus, your son, our redeemer, we pray, Amen"
"How old do I have to be to wear comfortable shoes?" I asked a professor during my internship. "You’re not nearly old enough yet," she laughed. When I was a teenager, I used to go shopping in downtown Dayton, Ohio in three-inch spike heals. I believed I looked very grown up and sophisticated. I really was able to convince myself that my feet didn’t hurt. However, today, I have no metatarsal arch. I must have done a fantastic job of convincing myself to accept self-abuse-by-shoes as a necessity for beauty. We are so gullible. We see a glamorous new TV anchor sitting in a leather chair with their spike-healed shoes just gracing the floor. They look so beautiful. But, did you notice I said, "sitting in a leather chair" not standing. If you see them on the political convention floor and can scan to their feet, they are in very comfortable lace-up walking sneakers. Don’t starve yourself into being someone else’s idea of beauty. The garment industry has identified the beauty figure of a woman as an adolescent boy–with no hips and flat chests. Why have we believed the lie? I’d like for you to consider the possibility of becoming the new standard for grace a beauty—for you. You don’t need anyone’s approval, validation, or distorted style. You have a style of your own. Stop abusing yourself with tight shoes, belts that pinch, or surgery that can leave you marred beyond repair. You are the very beauty God intended for you to be—just as you are. 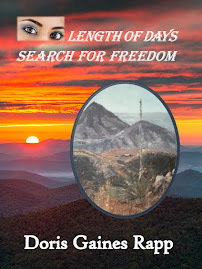 Please go2 my new blog - www.lengthofdays2112.blogspot.com for a fun post. “Why does she go back to that man?” “What you mean, your friend was caught by the police? !” We all know what Mother said, “You will be known by the company you keep.” We don’t want to believe it, but it’s true. Those of us who need just one or two friends , cannot let go of one, even if they may bring us down with them. While we need to stand by our friend if they get into trouble, we have to obey all the laws and insist that our friends do the same. If they won’t and they try to drag us down too, the precious life God has given us will not remain free to help them in the future or anyone else. Our other example is that of a relationship or marriage in which one of the partners is abusive. While I do not advocate divorce, abuse is another matter. The last human sacrifice was Jesus Christ. You and/or your children must be protected. It is far better to live alone than to subject yourself and/or your children to abuse. The underlying question is, why does someone pick an abusive partner? Maybe they think they can “fix” them. However, the offender may believe they aren’t broken, so there is no need to be fixed. Perhaps, the one who is offended believes they deserve the abuse. If they were abused since childhood or witnessed the abuse of a parent, they may believe that abuse is the normal pattern of living. By choosing someone who harms the ones they claim to love, they have a partner in self-abuse. Perhaps the pain inflicted, helps the one abused to return to body awareness. They let the other person abuse them, rather than doing it themselves. Abuse by proxy. God does not want anyone harmed. He can end self-abuse by proxy through Prayer Therapy, praying specifically so God can answer specifically. In our prayer for a return to the love-of-self we had as a small child, remember the prayer therapy process, or refer back to previous posts: pray the prayer printed below 3X a day, wait on the Lord and feel his presence, and know he heard your prayer. Let us pray: “Holy Father, creator of us all, your Spirit of Life lives within us. Holy is your name and the name of the Spirit within. Forgive us when we dislike the body you have given us to anchor our soul to Earth for this short stay of ours. Sometimes we want to run away from our body and the emotions experienced by it. Some of us have strong bodies, some are weak, and some are damaged by many events of this world. It is still the shelter for our soul, and for that we thank you, than you, thank you. Help us make peace with our body, our intellect, our emotions, our personality, and our soul this very day, that we may serve you with renewed energy and purpose. Forgive us when we have disliked that gift of life you have given us. Touch us with your warm and loving hand. In the name of Jesus, your son, our redeemer, we pray, Amen” Doris Copyright 2012 Doris Gaines Rapp “God gives us stories that testify to His love. Let me tell you mine.” Please pass this link to a friend. ARE YOU OUT OF BODY AWARENESS? “I am stuffed,” you moan after you polish off a big meal. “Maybe a few cookies will help me concentrate,” you delude yourself. “I’ve already had three doughnuts. Why don’t I just finish the other two, so they don’t get stale?” Oh brother, we are only abusing ourselves with that logic! No one else believes that nonsense. Others can easily see that we are inflicting self-harm and lying about it at the same time. We self-abuse in many ways. Overeating is one. When emotional stress overcomes us, we sometimes step out of body awareness and away from the pain we feel. From that perspective, we are living around our body and not inside. We have subconsciously found it is safer there, away from pain. Then, in order to come back into body awareness, so we can work, concentrate, communicate, or remember things, we overeat until we can feel our stuffed body around us. That is the knock of our body’s door we talked about before. We use self-abuse to try to achieve self-awareness and self-accomplishment. What a tradeoff God intended for you to be free from emotional pain. “The thief comes only to steal and kill and destroy; I come that they may have life, and have it abundantly.” Everybody wants to be happy, but “the abundant life” is far greater than merely being happy. It has real, inner joy, real life. It is a complete life, utter life, life “to the full.” John 10:10 Rather than eating when we feel overwhelmed, remind yourself, “God wants me to have inner joy, real life.” Repeat it until the need to eat passes. Then use Prayer Therapy to rid yourself of self-abuse. Prayer Therapy can help, praying specifically so God can answer specifically. Our prayer for a return to the love-of-self we had as a child, remember the prayer therapy process, or refer back to previous posts: pray the prayer printed below 3X a day, wait on the Lord to feel his presence, and know he heard you. Let us pray: “Holy Father, creator of us all, your Spirit of Life lives within us. Holy is your name and the name of the Spirit within. Forgive us when we dislike the body you have given us to anchor our soul to Earth for this short stay of ours. Sometimes we want to run away from our body and the emotions experienced by it. Some of us have strong bodies, some are weak, and some are damaged by many events of this world. It is still the shelter for our soul, and for that we thank you, than you, thank you. Help us make peace with our body, our intellect, our emotions, our personality, and our soul this very day, that we may serve you with renewed energy and purpose. Forgive us when we have disliked that gift of life you have given us. Touch us with your warm and loving hand. In the name of Jesus, your son, our redeemer, we pray, Amen” Doris Copyright 2012 Doris Gaines Rapp “God gives us stories that testify to His love. Let me tell you mine.” Please pass this link to a friend. “Stop it!” Stop the negative self-talk that rattles around in your head. “Well, you’re not right all of the time. You have to face your mistakes.” Well of course! We all must deal with the blunders of our life: what we say, what we do, and what we fail to say or do. But, some of us continue to beat ourselves up over mistakes of the past. The Bible is clear about reconciliation with another: apologize and feel the pain you have caused. “Therefore, if you are offering your gift at the altar and there remember that your brother or sister has something against you, 24 leave your gift there in front of the altar. First go and be reconciled to them; then come and offer your gift.” (Matthew 5: 23-24 NIV) First, apologize and make amends to those you have offended. Then go to God in prayer and leave your burden there. You are not to pick it up and re-injure yourself to the point of crippling your ability to serve Him. To disrespect (diss) yourself whom God loves, is to doubt God’s judgement in some twisted way. I guess you would be dissing God as well. Oops, you don’t want to make that mistake. Trust me, you are not wiser than God. He has planned saving-grace for you. Believe him and practice Prayer Therapy to stop dissing on yourself, the you whom God created and loves. Prayer Therapy can help, praying specifically so God can answer specifically. Our prayer for a return to the love-of-self we had as a child, remember the prayer therapy process, or refer back to previous posts: pray the prayer printed below 3X a day, wait on the Lord to feel his presence, and know he heard you. Let us pray: “Holy Father, creator of us all, your Spirit of Life lives within us. Holy is your name and the name of the Spirit within. Forgive us when we dislike the earthly person you have given us to be, to anchor our soul to Earth for this short stay of ours. Some of us have strong personalities, some are weak, and some are damaged by many events of this world. It is still the shelter for our soul, and for that we thank you, than you, thank you. Help us make peace with our body, our intellect, our emotions, our personality, and our soul this very day, that we may serve you with renewed energy and purpose. Forgive us when we have disliked that gift of life you have given us. Touch us with your warm and loving hand. In the name of Jesus, your son, our redeemer, we pray, Amen” Doris Copyright 2012 Doris Gaines Rapp “God gives us stories that testify to His love. Let me tell you mine.” Please pass this link to a friend. Sorry to say, most of us know someone who self-abuses by cutting. The tragedy may not be one of our family member’s, but I know your child or grandchild knows someone who cuts on their arms, legs, or other body areas in order to feel again. We won’t go into the psychological reason for cutting. That is best done with a psychologist. One explanation is a need to experience pain so the individual can feel emotion. This will apply to other topics this week, but for now, let us focus on separation needs. When life circumstances prompt an emotional reaction that is more than one can handle, sometimes that person separates, they“leave their body” and find that numb place where emotional pain is not felt. However, in that haze outside themself, they begin to realize they can’t experience any emotion. When they sealed off the hurtful emotion, they sealed off all emotion and their ability to feel. Okay, if we got through that, then the next part is easy. When someone is outside their body, they need to “contact” the body to re-enter. That nudge, or knock on the body’s door, sometimes is in the form of cutting until they return to body awareness. The friend who cuts does not like themself or their emotions, so they run away. For the purpose of finding body awareness and body-love again, Prayer Therapy can help, praying specifically so God can answer specifically. Our prayer for a return to the love-of-self we had as a child, remember the prayer therapy process, or refer back to previous posts: pray the prayer printed below 3X a day, wait on the Lord to feel his presence, and know he heard you. Let us pray: “Holy Father, creator of us all, your Spirit of Life lives within us. Holy is your name and the name of the Spirit within. Forgive us when we dislike the body you have given us to anchor our soul to Earth for this short stay of ours. Sometimes we want to run away from our body and the emotions experienced by it. Some of us have strong bodies, some are weak, and some are damaged by many events of this world. It is still the shelter for our soul, and for that we thank you, than you, thank you. Help us make peace with our body, our intellect, our emotions, our personality, and our soul this very day, that we may serve you with renewed energy and purpose. Forgive us when we have disliked that gift of life you have given us. Touch us with your warm and loving hand. In the name of Jesus, your son, our redeemer, we pray, Amen” Doris Copyright 2012 Doris Gaines Rapp “God gives us stories that testify to His love. Let me tell you mine.” Please pass this link to a friend. “I am not taking this any longer! I am quitting my job and looking for a new one!” I know that today’s economy may not permit the luxury of quitting your job. If you are fortunate enough to have one, perhaps you need to hold on to it. But, to quit, then look for a new job, is reckless. I know that you come home tired from the battle of the day. The boss blew up at you and you either yelled back or stifled the scream and felt angry inside any way. Is your boss or co-worker angry all of the time? If they are and that makes your work day impossible, that phrase, “There goes the boss being the boss again,” will come in handy. Communicate with them in writing so you can refer back to the “memo of last Friday.” They are less likely to change the rules or try to change what they told you, if you have it in writing. Stay calm and relaxed. The boss is ranting; you are not. As a way of humanizing them, validate their heavy work load. If you are caring, they may feel appreciated for the first time. Most important, don’t borrow their anger! Keep the emotional distance between you clear. Remember, again, “Their anger is not about you. It’s about them.” Be consistently cheerful, hardworking and helpful. But, don’t let them push their work off on you. Smile and say something like, “I know you are swamped today. I am too. I know you can do it. You are good at organizing your time. 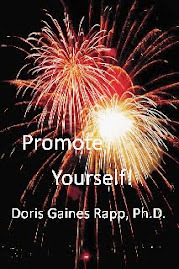 You’re excellent at your job.” Anger can spread like a wildfire but it doesn’t have to. If you don’t add more kindling, the fire will die. And, your boss’s tirade is their way of dealing with their job. If you don’t play the game, “Let’s you and I yell and complain for a while,” the game will fizzle out. Make sure you don’t approach them from the Parent point of you (as in Transactional Analysis). Approach them from the Adult position: nurturing, realistic, responsible, caring, and calm. Let God help you control your temper, through Prayer Therapy, so you can put out some fires around the office. Remember, (1) pray the prayer printed below three times a day. (2) Wait at the end of the prayer for a sense of God’s presence. (3) Go about the remainder of the day knowing that God has heard your prayer. Let us pray: “God of Love and Life, holy and precious is your name. I ask that you fill me with your holy presence that the Kingdom of God may come and include even me. Today is the day, Father, when I lay my anger at your feet. Cast that anger as far from me as the East is from the West and never let it return. Forgive me for not trusting you before with my anger and may I forgive others of their anger as you have forgiven me. Lead me away from things that provoke me and place me within your open arms. In the name of your son, Jesus, the Prince of the Peace I seek, I pray. Amen” Doris Copyright 2012 Doris Gaines Rapp “God gives us stories that testify to His love. Let me tell you mine.” Please, pass this link on to friends and family. “I don’t get angry and I certainly don’t yell,” some may say. “I keep my opinions to myself. That’s the safest way.” Some people rarely voice their opinion because they are afraid of their own anger. Last week’s topic was release from FEAR. This week is freedom from ANGER. When you say nothing, sometime pout, but never voice your opinion, you may do something else. You may not fight or argue, but never comply either. “Honey, the kids and I are going to the mall on Saturday. Do you want to go along?” The wife may say. “We’re going to leave at noon.” “Sure,” husband may answer. Saturday morning comes with the usual cartoons for the children or Fit-it shows for the parents. The family is nearly ready by eleven-thirty. At fifteen minutes before noon, Dad goes outside and starts mowing the yard. At quarter after twelve he is still mowing and the same is true at twelve-thirty. Mom shouts over the drone of the mower, upset and impatient, “Are you going or not?” Dad says, “Well, do you want the yard mowed or not?” Got-ya. Hubby is passive-aggressive, but don’t get too smug. Women can be passive-aggressive too. They don’t argue. They don’t say “No” . . . the just don’t . . . anything. Passive-Aggression is a form of anger and control. We’ll focus on CONTROL next week. That part of passive-aggressiveness that is anger is what we will address today. And, this is a hard one. Those who are P-A take great pride in being the calm one in the family, the one who never argues, the one who never yells. If your family has to wait for you all of the time, if chores you have said you will do never get done, if you go silent rather than engage in a discussion, Man-Up, or woMan-Up. You are passive-aggressive and it is a form of anger because you provoke anger in others. If you will admit to yourself that you are silently angry, God help free you from your anger through Prayer Therapy. Remember, (1) pray the prayer printed below three times a day. (2) Wait at the end of the prayer for a sense of God’s presence. (3) Go about the remainder of the day knowing that God has heard your prayer. Let us pray: “God of Love and Life, holy and precious is your name. I ask that you fill me with your holy presence that the Kingdom of God may come and include even me. Today is the day, Father, when I lay my anger at your feet. Cast that anger as far from me as the East is from the West and never let it return. Forgive me for not trusting you before with my anger and may I forgive others of their anger as you have forgiven me. Lead me away from things that provoke me and place me within your open arms. In the name of your son, Jesus, the Prince of the Peace I seek, I pray. Amen” Doris Copyright 2012 Doris Gaines Rapp “God gives us stories that testify to His love. Let me tell you mine.” Please, tweet this link to friends and family. How can someone else make you “mad?” To my thinking, “mad” sounds a little like a rabid dog. Why do you allow someone to make you angry? Most of the time, their angst isn’t with you anyway. They came to the party with an attitude. They didn’t get it when they got there, like catching a cold. Well if that’s the case, then he is pretty boring—Dad, or Uncle Fred, or whoever sounds like he is always in character whenever you see him. Then why does it surprise you and make you angry, when he acts just like he does every time? He’s being . . . Uncle Fred. Now, who else is he going to be? I have a little phrase for you to use when Dad or Uncle Fred acts like himself at every function. “There goes Dad being Dad again.” It isn’t about you and it’s all about him. Separate yourself from his anger, or anger provoking attitude, and quietly go about being the mature one at the event. Let him do his little kabooty dance over in the corner. If you talk to him in loving, quiet, soothing, calming tones, he may eventually respond in kind. No one can make you angry unless you allow them. Overcome anger with Prayer Therapy. “I am not angry! I’m frustrated!” How many times have you heard that? Don’t kid yourself, frustration is just another name for anger, but it sounds more polite. Good Christians don’t get angry. I will have to admit; I can burn slowly and long too. My laptop’s CD drive doesn’t work and my wireless internet feature is featureless. I get VERY frustrated when I try to get a project done. When I finally complete it, I have to face the fact that there is no difference between the way I feel and my own body’s reaction to ANGER. I am uptight, tense, and in full battle stance. That’s ANGER! There are a few things in this world worth getting angry over—very few. Jesus reacted with anger when he discovered his father’s house had been turned into a den of thieves. To other injustices, he was patient and loving, and allowed the peace he felt to smooth in all the ragged chinks and rough spots. Don’t let anger win. Overcome anger with love, patience, and the peace that God offers his children who believe in him and seek to learn his ways. Prayer Therapy can be a way to rise above anger and walk in peace with him. “Knock off the anger!” It would be a real blessing if it were that easy. Anger can get a strangle hold on us until we, literally, cannot breathe any longer. Sometimes, the target of our anger doesn’t even know we have a problem with them. We become not only the one who is angry, but the only one who experiences the anger. How is that working for you? We have been applying a form of prayer called Prayer Therapy, to the negative emotions that bind us. Last week, we focused on FEAR. This week, ANGER is the emotion for which we will pray for release. Every day this week I will define the anger problem and then we will pray the prayer for release from anger in the Prayer Therapy format. Remember, (1) pray the prayer printed below three times a day. (2) Wait at the end of the prayer for a sense of God’s presence. (3) Go about the remainder of the day knowing that God has heard your prayer. For an even deeper experience of Prayer Therapy, if you choose, you can order the eBook Prayer Therapy Primer from www.amazon.com or www.bn.com. 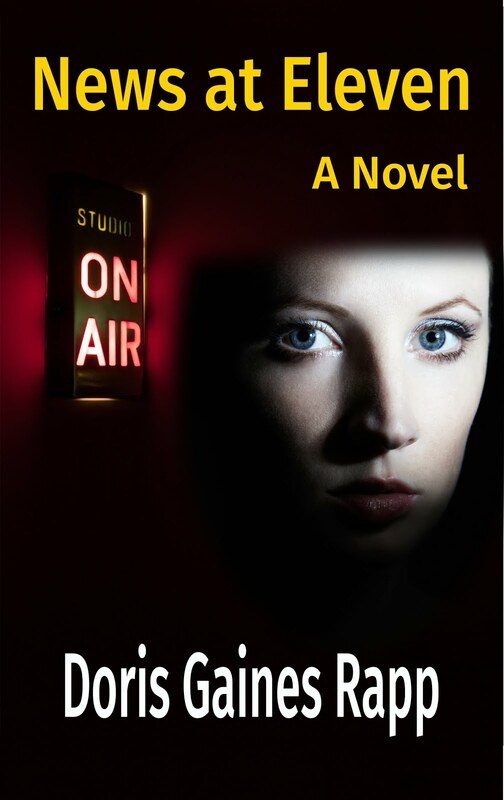 These daily prayers are not commercials for the eBook. 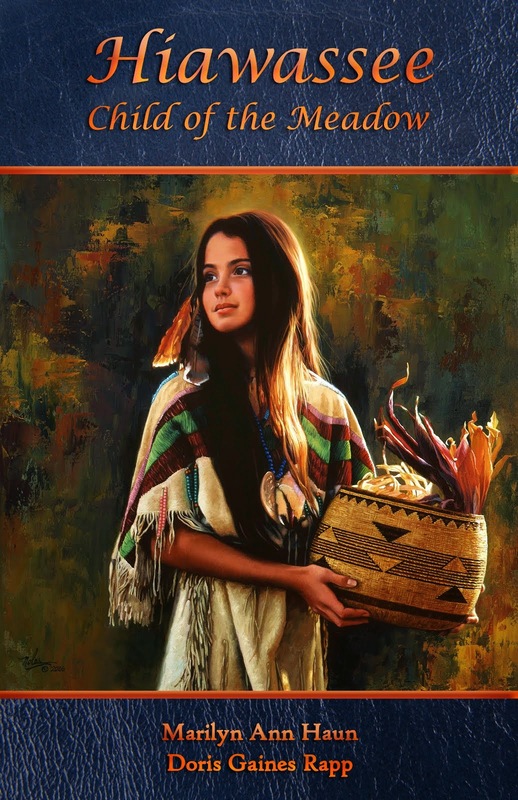 I have lowered the price of the eBook to $0.99 so you can learn to put the prayer into your own words and experience the blessing of a new prayer adventure. You don’t need an eReader. Your computer or android can be an eReader with a free app from Amazon or Barnes & Noble. “I thought you said it was a fear of failure.” I did. There is also a fear of success. Some people do nothing because they fear they will succeed. Why would anyone fear success? Perhaps they’re afraid they may succeed, then the image they have of themselves as a loser would no longer fit them. They don’t know who the other “them” would be. Maybe, if they write that great American novel, they will be empty of all creativity and would never be able to write another book. They fear, if they succeed, people will expect a lot from them. They are afraid they won’t be able to deliver a second success. If they don’t try, they won’t disappoint anyone, including themselves. Some people fear they will lose their friends if they succeed. A high tide floats all ships. If you develop an attitude of success, it may spread to your friends and family. If YOU change, become boastful, arrogant, and dismiss your friends, then you will have deserted them, not they you. Success does make you very busy. Make sure you put friends and family in your daily planner along with all your new responsibilities. If you wish to follow in the eBook, Prayer Therapy Primer, Go2 www.bn.com. See new price. Some people never attempt anything because they fear they will fail. Failure is an important part of success, my friend. We must rule-out what doesn’t work, in order to see what does. Do you think the Wright Brothers woke up one morning and built a flying craft on the first attempt? Well, they didn’t. Did Ben and Jerry open the doors of their ice cream manufacturing plant and whip out all of those strange and exotic flavors on day-one of business? No, they tried some combinations that didn’t work until they arrived at Americone Dream, Late Night Snack and others. We have to be willing to experiment (a word meaning “fail several times”) if we want to succeed. Scroll down to read previous Prayer Therapy Devotions. Are you afraid of a date on the calendar? Think about it. Who told you that a number is dangerous or unlucky? And, while we’re at it, what does luck have to do with it? What part does luck play in the Kingdom of God? We want to believe: if we play the lottery long enough we’re bound to win. Does that mean that we can spend over our limit because that lucky ticket will soon pay off? We fight the fear of not having enough, by placing a fantasy in our mind that luck will soon bail us out of the mess we are in. Do you know that the same fear is keeping you from seeing opportunities all around you, from seeing the blessings that God places along your path every step of the way? The problem may be that we want to choose our gifts from God, like placing an order at the drive-up window or making out a Christmas list. Do not fear there will be no luck in your life. There is no magic in heaven! If you are looking for luck, you’ve been looking in the wrong place. To read other On-Line Prayer Group Devotions, scroll down to previous posts. With divorce a “natural” part of our family life, we often forget the children. We assume that children will adjust and of course they will. They will adjust to being children of divorce. They will always know that someone is missing from their daily lives. Our country has been engaged in an extended war with mothers and fathers far from home for months and years at a time. We all know what happened on 9-11. Family separation is necessary in times like these. And, the children do adjust to a parent being gone. We know however, that adjusting to being left behind is a poor substitute to the presence of both parents in their daily lives. ARE YOU AFRAID TO BE LESS THAN PERFECT? As a child, I liked to set the Sunday dinner table for my mother. Mom was an only child so my grandparents came every other Sunday. I wanted the symmetry and beauty of a “perfect table,” so I would get my ruler and measure the distance from the edge of the plate to the placement of the knife—on the right of course. There was also a little game called, “Step on a crack and you’ll break your mother’s back.” Naturally, I didn’t want my mother injured, so I spent many walks home from the school bus stop making sure no crack was struck by heel or toe. One day when I was about twelve, I realized that I was getting caught up in magic-thinking. I actually feared that something ominous would happen if I stepped on an imperfection in the road or a butter knife was askew. Momma’s broken back for some misstep of my own and the measured accuracy of a perfectly set table were part of magical thinking. I didn’t like the feeling that I was letting some outside force dictate my behavior. And, believe me, I have been an independent thinker ALL of my life. To break the negative habits, I would deliberately step on every crack in my path and leave my ruler with my notebook. When that early need to be perfect continues into adulthood, along with our fear of the consequences if we are not, we can become very anxious since perfection is impossible. To try our best is fine, but attempting to be perfect is impossible. God can help us rid ourselves of the need for perfection through our Prayer for Release from Fear. Remember the process or refer back to previous posts: pray 3X day, wait on the Lord, and know he heard you. “God gives us stories that testify to His love. Let me tell you mine." Some of us have a fear of nothing. Not that we fear nothing, but that we are afraid and we don’t know why. That is often diagnosed as Anxiety. We are afraid that we won’t be able to control something around us or we won’t be able to control ourselves in a given situation. We believe life is unsafe, unpredictable. Children who have no schedule learn that life is unpredictable and may cling to control as adults. When we find we cannot control others and life events happen while trying to maintain a ridged schedule, we become anxious. Prayer Therapy can help to free us from anxiety. What are you afraid of? It is said: fear is the basic negative emotion, underlying them all. You’re afraid of not knowing what’s going to happen next and you become anxious. You fear being alone and you become depressed. When you fear losing your position or recognition to someone else, you become jealous. Fear is a strong emotion that binds us like shackles that will not let us go. How do we rid ourselves of fear? Prayer Therapy can help. If you have downloaded my eBook, Prayer Therapy Primer, from www.bn.com you may have read about the statistics on the efficacy of prayer. Prayer Therapy is learning to pray specifically so God can answer specifically. As you saw from the reading, The Lord’s Prayer, as recorded in Matthew, is our template for how to pray. It consists of specific elements. You can learn to put the prayer in your own words, owning the prayer, and your prayer life will be changed. We will follow the Lord’s format in these devotions at www.prayertherapyrapp.blogspot.com. Our prayer today will be for the release from fear. Pray it three times a day, like a prescription. After praying the prayer, wait a few minutes for the presence of the Lord to fill you. Then go about the rest of your day, knowing that your prayer has been heard. We will pray for release from other negative emotions in future weeks. The Lord will answer our prayers if we live in him and keep his words in our heart. Prayer is effective! Prayer Therapy is a way of praying which Christ taught in Matthew 6:9-12 and that is what I use every time I post a prayer to www.prayertherapyrapp.blogspot.com. During Advent I had posted every day. Since Christmas, I have returned to the previous schedule of posting just Mondays. I see from the feedback I have gotten on my blog, many of you have missed the daily posts. I will begin tomorrow, Monday, January 9, 2012, posting daily again. During the next months, I will introduce Prayer Therapy. The devotional will differ each day. 1. The prayer, for release from negative emotions that bind us, will remain the same for the week. 2. Pray the same prayer three times a day for that seven-day period. 3. Like a physician’s prescription, this is a prescription for good spiritual and mental health. 4. Before leaving your prayer time, believe that God will answer your prayer. 5. Go about the rest of the day, knowing that God has heard your prayer. To bury those prayers deeply in your heart, learn to create Prayer Therapy Prayers, using your own words. Apply phrases that have deep meaning to you as you pray the prayers. 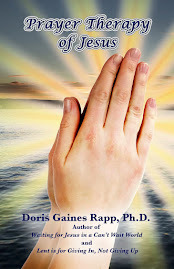 Or, you can go to www.bn.com and order an eBook version of Prayer Therapy Primer by Doris Gaines Rapp. With an app available at www.bn.com you do not need an eReader. 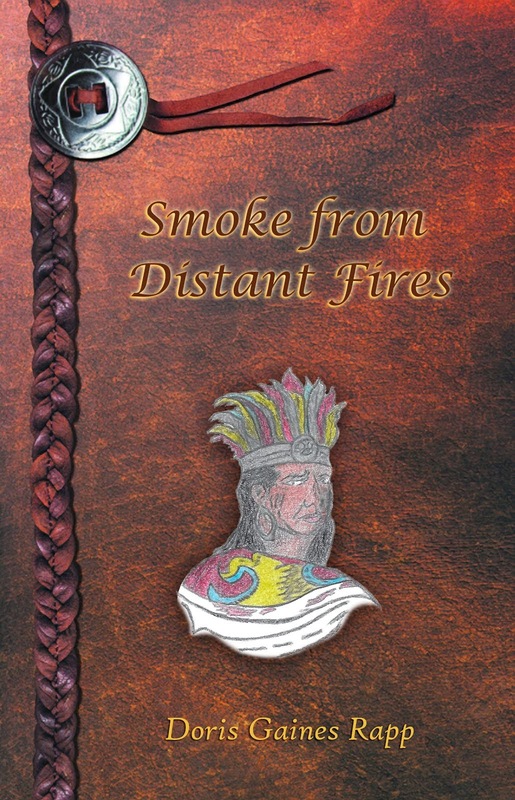 You can use your computer, iPhone, android, or iPad to download the book. If you use your computer, you can bring up a page in your word processor and write your newly created Prayer Therapy Prayers, using your own words. We will be entering into an exquisite adventure, an adventure in prayer that could change your life. What a marvelous and blessed way to enter 2012! Tell your friends who had missed the daily posts to log on and I’ll see you all tomorrow. Prayer Therapy is not a mystery. It is a habit of the heart. 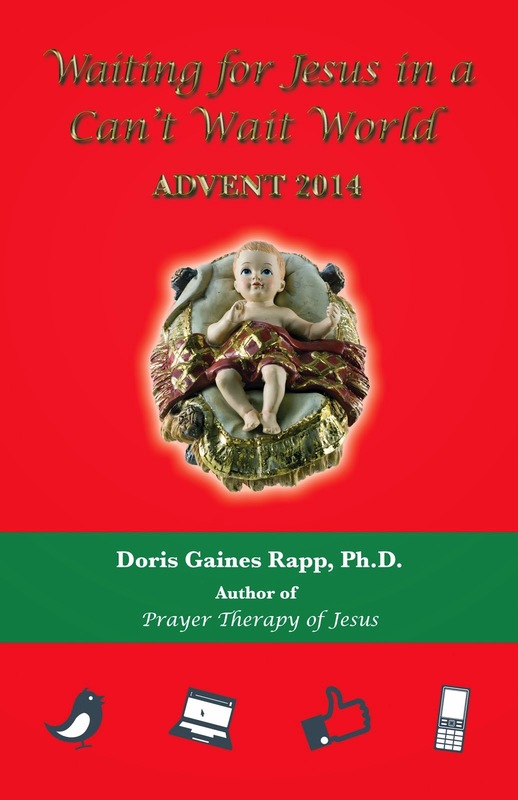 Learn prayer therapy by reading the eBook: PRAYER THERAPY PRIMER by Doris Gaines Rapp. It is available at www.bn.com. You do not need an eReader. Barnes & Noble has an app so you can read eBooks on your computer, iPhone, iPad etc. Did you make a New Years resolution for 2012? Some people give up chocolate (Oh the agony of it! ); some people sacrifice coffee (Please, no, the headache from it! ); and others resolve to lose weight (Oh the challenge of it!). What I am proposing is a resolution of the heart. 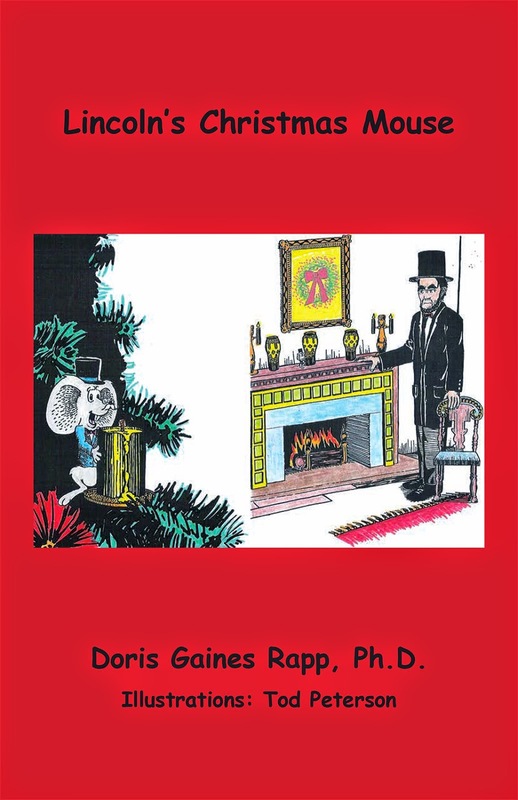 Copyright 2012 Doris Gaines Rapp, Ph.D.